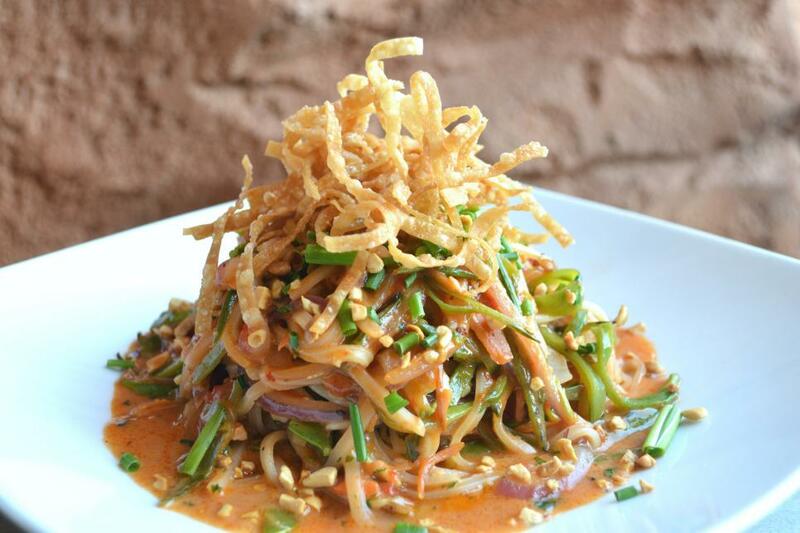 Yes, you can get great meals where the tourists roam. Here are a few favorites in and around Orlando's largest attractions, including Disney World, Universal Orlando and Disney Springs. 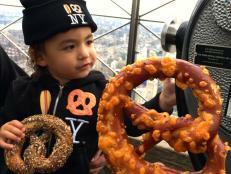 Think spending a day at the theme park means sacrificing good food? Not so. Orlando is chock-full of chefs, and many of them prepare destination-worthy meals, or just plain good grub, in and around the worlds of fantasy. Of course, you can always find a mediocre all-American megameal if you look for it. 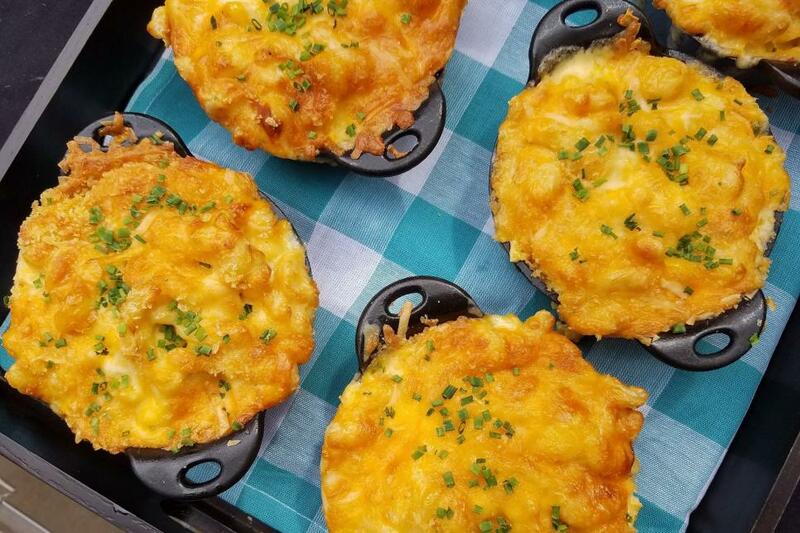 But here are some of the best bites in and around Disney World, Universal Orlando and SeaWorld Orlando. If you visit Disney Springs for the shopping or entertainment, grab a very decent bite at one of Disney’s own quick-service restaurants. 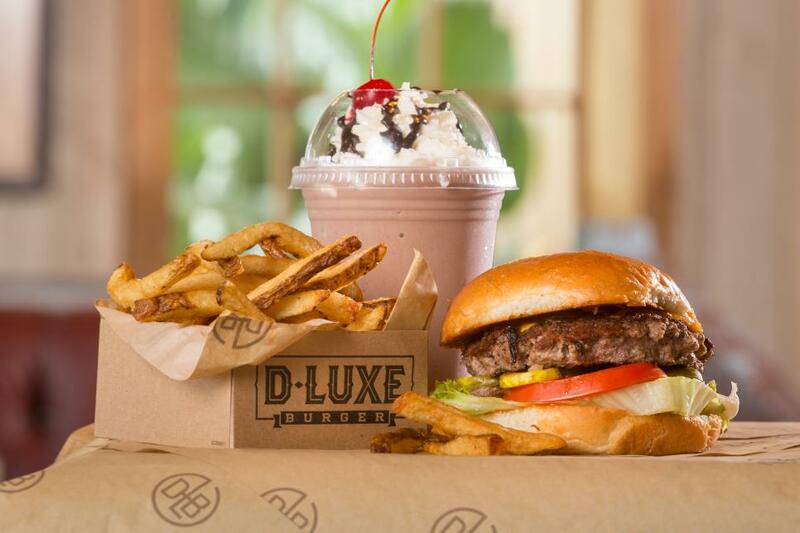 The burgers are surprisingly satisfactory, plain or with creative toppings, at D-Luxe Burger, a friendly, air-conditioned spot where a call for "Next neighbor!" means it’s your turn to order; at the register get a frosty shake or IPA too. Add on fries there, or make a meal of fries — preferably the mushroom-topped French variety — at The Daily Poutine, featuring four thick-cut takes on the Canadian specialty. For a little ooh-la-la, get a hand-held ham-and-cheese crepe at AristoCrepes. The salted-caramel bubble waffle will feed three sweets-lovers. Speaking of sweets, Amorette’s Patisserie is the real deal. While the domed Mickey Mousse is Instagram-worthy, we adore the chocolate specialties, especially the Sunday Coffee Pastry with Bailey’s and espresso mousses plus caramel sauce. Los Angeles’ Patina Group is practically taking over Disney Springs with highly themed upscale restaurants. 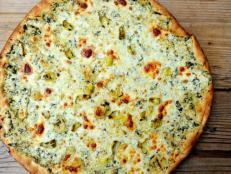 Its by-the-slice Pizza Ponte restaurant is one spot that savvy locals seek out repeatedly. 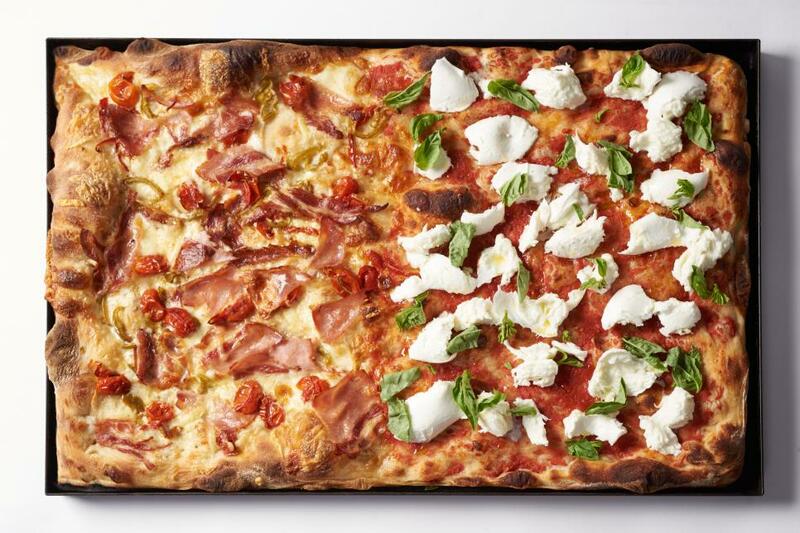 At the counter, guests choose from Sicilian-style square or thinner-crust triangular pizza, then down their hand-helds from barstools in the bright and simple dining room. Made-to-order sandwiches are on offer too, with Italian fillings like tomato, mozzarella and arugula. Italian desserts, specialty espresso drinks, and wine and beer round out the experience. If you really like wine, you might visit Disney World specifically for Wine Bar George. This two-story vintage destination is run by Master Sommelier George Miliotes, who personally chose each of the 140 wines available on any given day. You can buy an ounce or glass of wines that strike your fancy, or spring for the whole bottle. Options could include a $9 Spanish find or a $50 sampling of Château Margaux. Want the vibe without the fuss? A bunch of wines are served on tap, and beers and cocktails are thoughtfully chosen, too. Shareable plates — including chicken skewers and whole branzino — were designed to complement the vino. 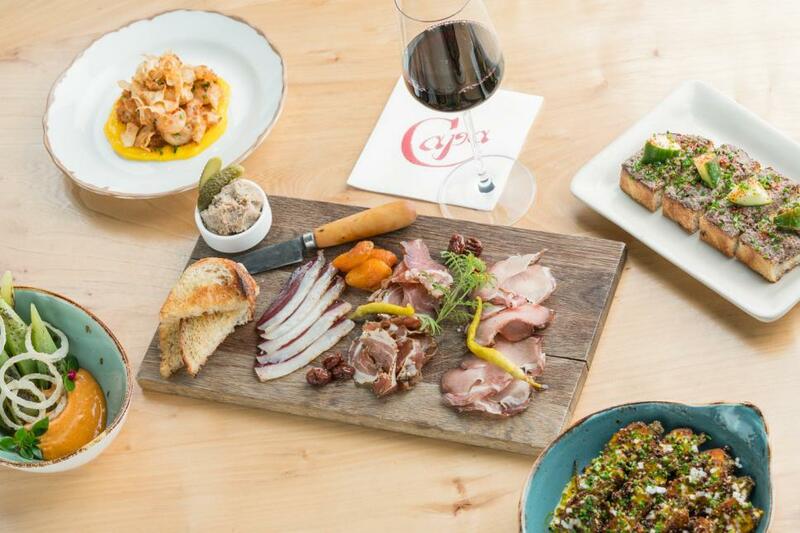 If you’re in a hurry, pick up a to-go antipasto or Italian-style sandwich along with a glass or carafe of on-tap wine from The Basket take-out window. Billed as having Modern BBQ + Taps, the counter-serve restaurant The Polite Pig specializes in smoked foods, including smoked-and-fried chicken, a pulled pork sandwich with fennel-apple slaw, and even smoked cauliflower, all better with the four housemade sauces. Portions are big enough to keep you going for a full day, though savvy diners will save room for heavenly orange blossom honey cake. Florida craft beer, a couple of wines, and a bunch of cocktails including grapefruit margaritas are on tap by the glass or pitcher. 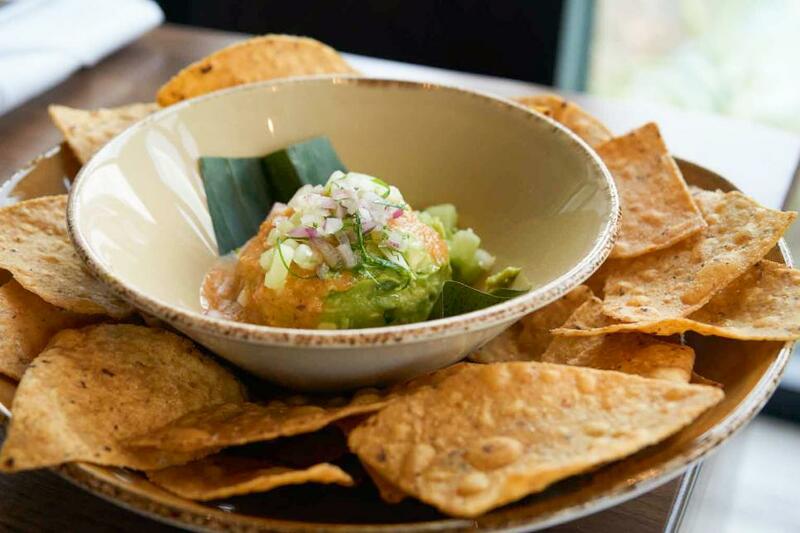 Chicago can claim Mexican cuisine expert Rick Bayless’ fiery fare, but Orlando gets a taste, too, at Frontera Cocina. Though many diners may be wearing mouse-ear hats, they’re eating food that’s supremely south of the border. Unwind with a blood orange-jalapeno margarita, rimmed in chile, along with a helping of Atomic guacamole with habanero salsa. Then dig into a richly flavored shrimp mojo de ajo, or the vegetarian zucchini, mushroom and potato enchiladas with roasted tomatillo sauce. 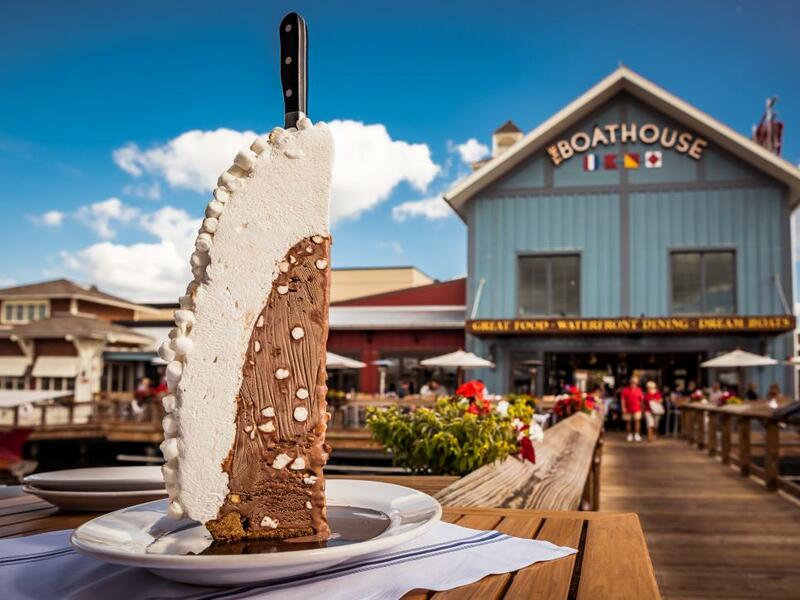 The Boathouse stands out for its serious devotion to all things fresh and finny or shelly — well, that and rides in the vintage "amphicars" (amphibious cars) waiting right outside. 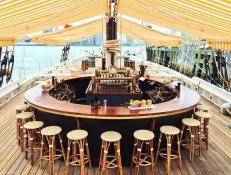 The raw bar has as many as 14 varieties of oysters at a time, ensuring the right amount of brine for any seafood fan. During stone crab season, the crew creates a dramatic-looking platter to order that turns heads of envious diners. Swordfish steak, coconut-fried shrimp and New England lobster rolls are among the from-the-sea options. For a finale, order the signature S’mores Baked Alaska for the table. 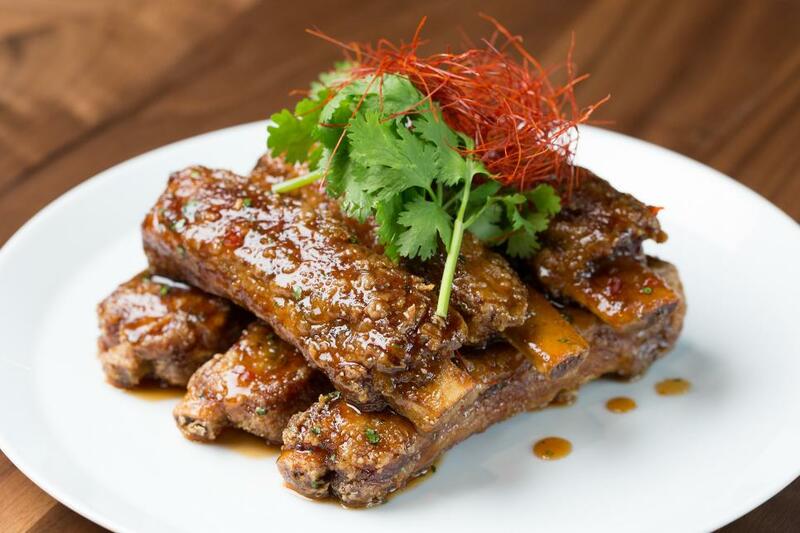 There’s plenty on the menu at Morimoto Asia to captivate even the pickiest diners, but those in the know look past the tourist must-haves to Iron Chef Masaharu Morimoto’s in-house specialties. Food-savvy locals vie for seats in the chic dining room to feast on a Peking duck dinner that vies with the best in Beijing, or maybe a plateful of sticky ribs. The Forbidden Lounge serves small plates with themed cocktails laced with lychee or yuzu, or belly up to the second-floor sushi bar for a multicourse omakase meal. 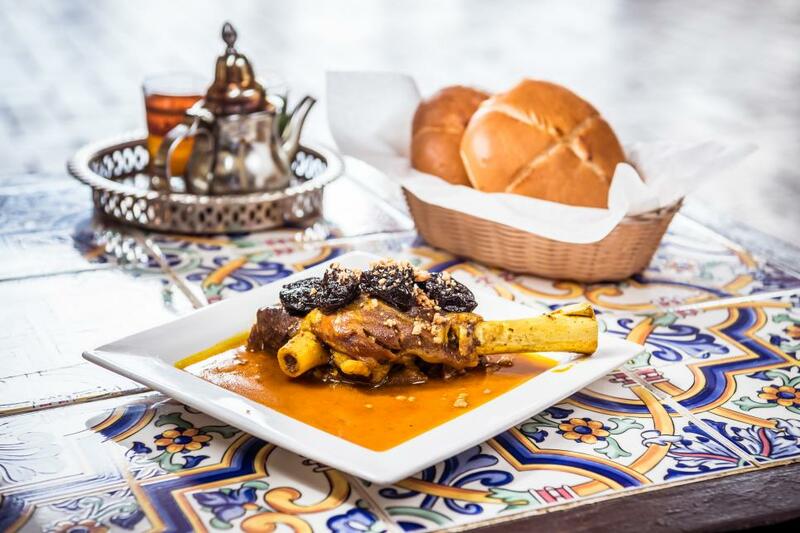 You’ll feel like in you’re the midst of a bustling Moroccan market at Spice Road Table, where the ages-old décor is peppered with rugs, art and tiles like those one would find in North Africa. The food is on-point, especially for a theme park. Start with a plate of olives and hummus with zaatar bread, then share stuffed grape leave tapas or hummus fries with preserved lemon aioli. 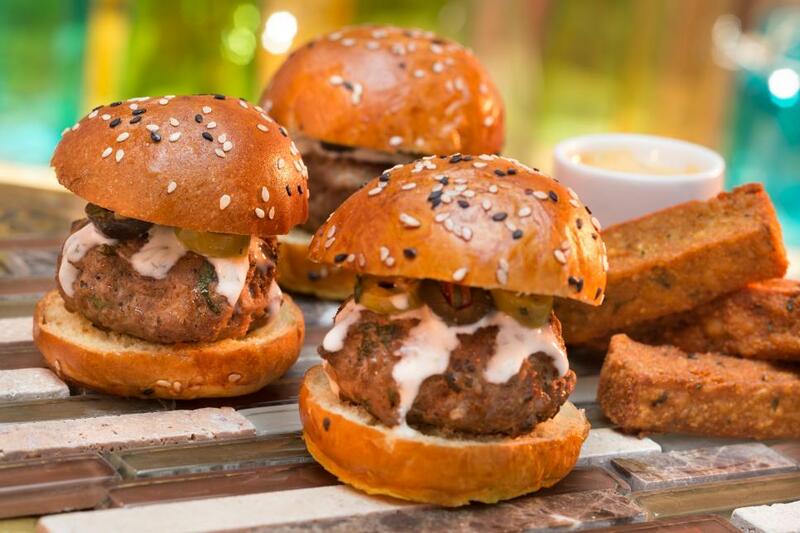 The lamb sliders with tzatziki sauce fuse Mediterranean and American flavors, while the pistachio-saffron custard is a dessert that will transport you beyond familiar boundaries. Monsieur Paul is a fine French restaurant that happens to be located within a theme park. Inspired by the repertoire of his renowned father, the late Chef Paul Bocuse, Jerome Bocuse designed the colorfully classic dinner house to be sophisticated yet casual, which makes it all the better for indulging in black sea bass encased in golden potato scales, and braised pork belly with quince marmalade. 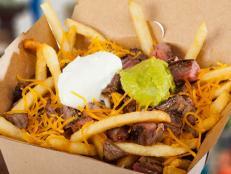 Nostalgia is the crux of the menu at Woody’s Lunch Box, a quick-service spot in Toy Story Land. 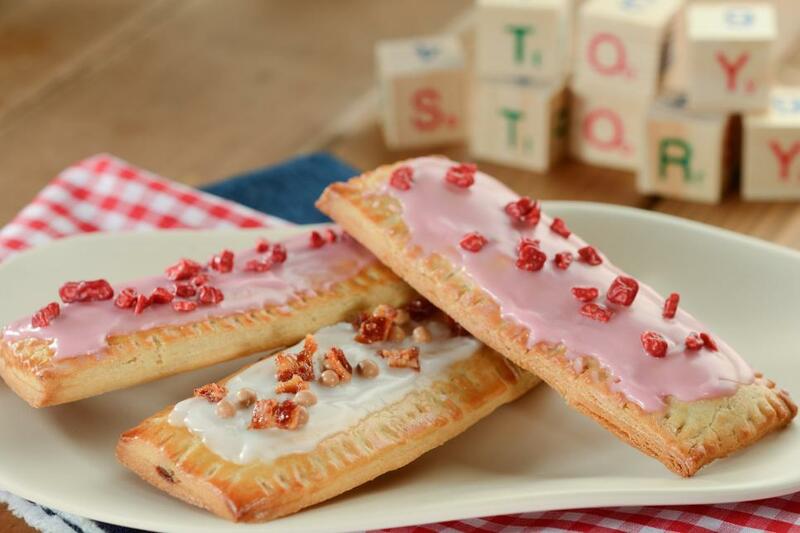 If you grew up with Pop-Tarts, you’ll get a culinary kick out of the "lunch box tart" upgraded with chocolate-hazelnut filling and a maple fondant icing topped with caramelized bacon bits. If Mom served brisket, you’ll be Buzzing about the BBQ brisket melt sandwich with two cheeses on sourdough. And if you had apple juice with your PBJ decades ago, you’ll appreciate the hard ciders offered on the adult-beverages menu. Travel back to the era of Formica. This being Disney, the 50’s Prime Time Café is logged internally as "eatertainment." And there is indeed entertainment — rolling reels of black-and-white TV show trailers, and antics like a stern server making a real mom stand in a corner for unfinished veggies. (The kids will love it.) Yet the "eat" part is valid too. This hokey table-serve spot within The Studios puts a modern twist on Lucy-era favorites like pot roast, and adds in some millennial musts like a daily sustainable fish with seasonal vegetables. Go all out and get a cocktail with a glow cube. 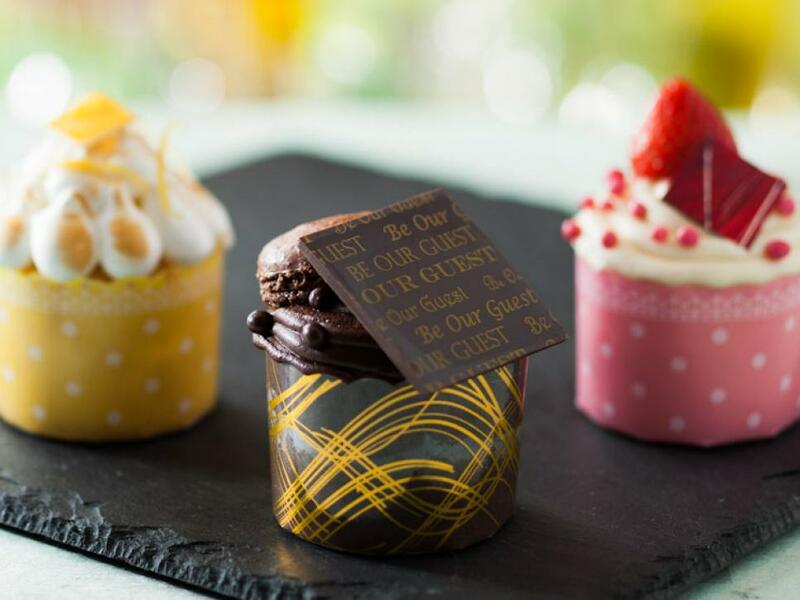 You’ll feel like the Belle of the ball at Be Our Guest, a French restaurant with an elaborate Beauty and the Beast theme. Refreshed in late August of 2018, this pampering palace is a hard-to-get ticket for dinner, when it specializes in three-course meals. 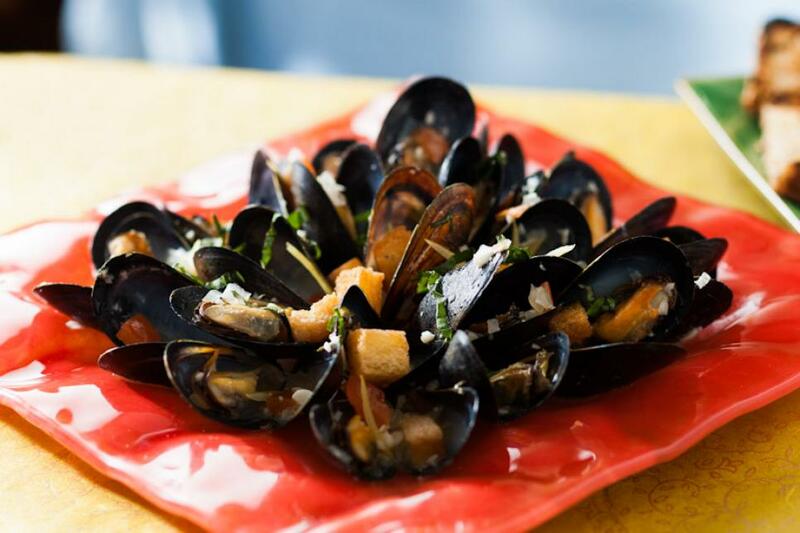 They feature elegant entrees like seafood bouillabaisse laced with saffron, and a grilled filet mignon in a cherry-red wine reduction. Breakfast and lunch are commendable alternatives, since it’s easier to get a table and the food is still worthy of the royal digs. 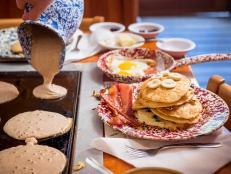 Begin the day with the Feast a La Gaston — a hearty American egg-and-bacon affair, or fill up midday with vegetable quiche, coq au vin-style pork and a croque monsieur sandwich. 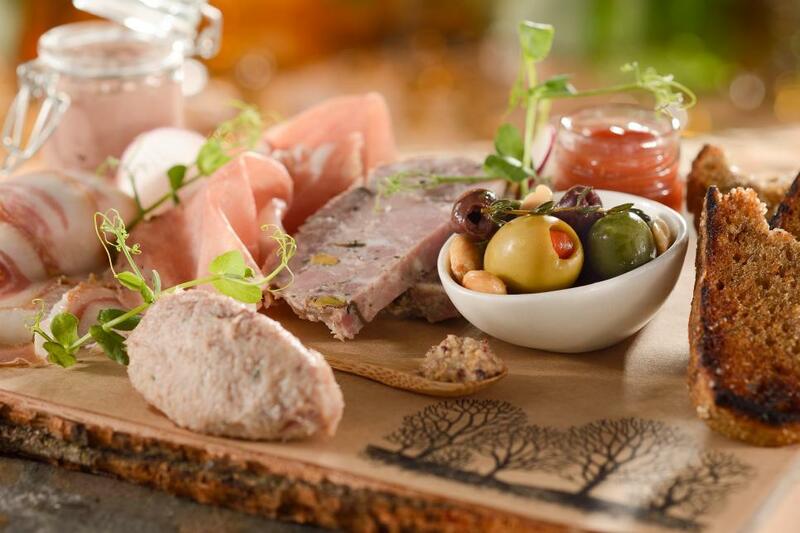 Disney’s Animal Kingdom Lodge has a private savannah with bongos, waterbucks and the like, so it should come as no surprise that the hotel’s restaurant meals are African-inspired, too. 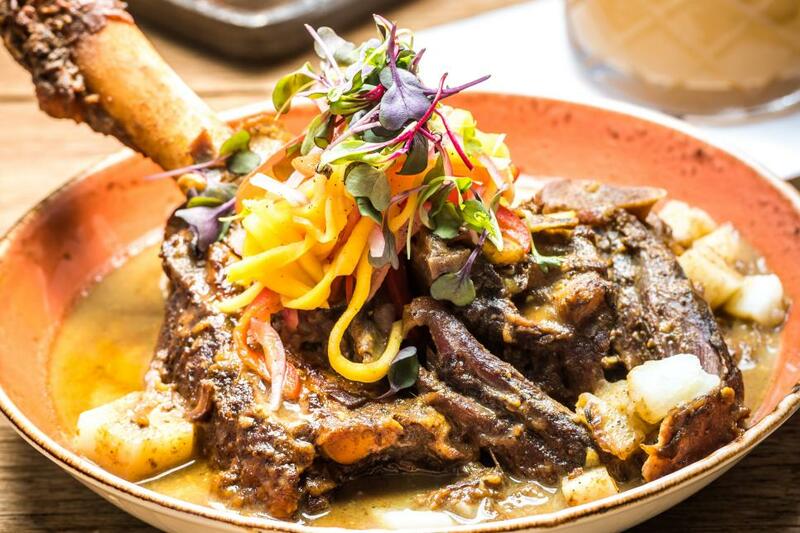 Jiko puts a fine-dining spin on the theme, serving Botswana-Seswaa-style beef short ribs with sambal and cassava-potato purée, as well as manti, or dumplings. The wine list is a remarkable collection of South African vintages. For a more casual but equally enjoyable African-ish experience, go across the hall to Boma, which offers fortifying coconut-chicken-curry soup, Tunisian couscous salad and bobotie in a buffet format. 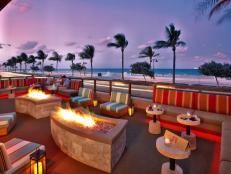 And one building over, Sanaa dazzles with Indian flavors as inspired as the live-animal views. You’ll build up an appetite flying on the back of a banshee in Pandora — World of Avatar. 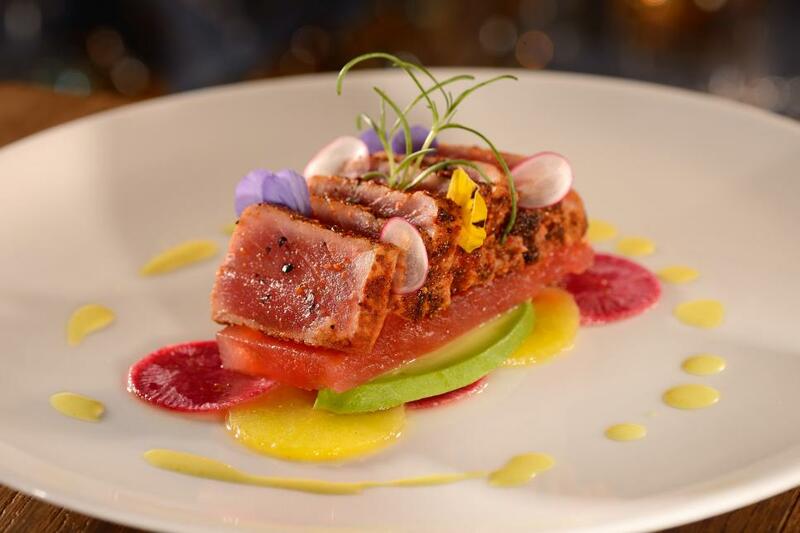 The healthful and flavorful fare at Satu’li Canteen will bring you back to earth. Designed to look like a Quonset hut decorated with Na’vi art, the counter-serve restaurant specializes in bowls. You’ll get your all-American beef or chicken, but here it’ll be marinated, grilled, sliced and served with a crunchy slaw, loads of herbs and juicy boba balls. Fish and tofu bowls have their own flavorings — but also include those playful boba balls. The cheeseburger stalwart in your crowd will have to settle for a bao version, with meat and cheese sandwiched in a steamed bun. Your kids will want Unadelta Seeds — glowing ice cubes — in their drinks for $3 each. Grab yourself a Hawkes Grog Ale, chill out and just go with it. 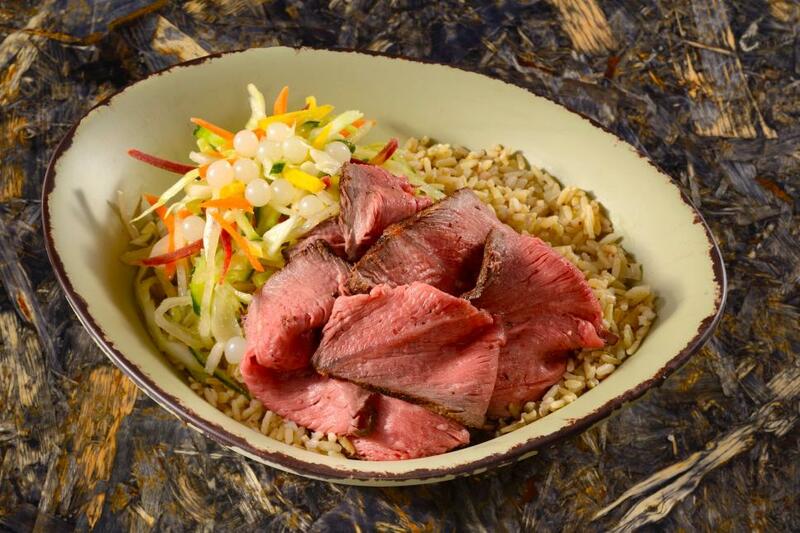 After taking a safari through Animal Kingdom's African savannah and facing a yeti atop the Expedition Everest roller coaster, round out the adventure with far-flung cuisines. 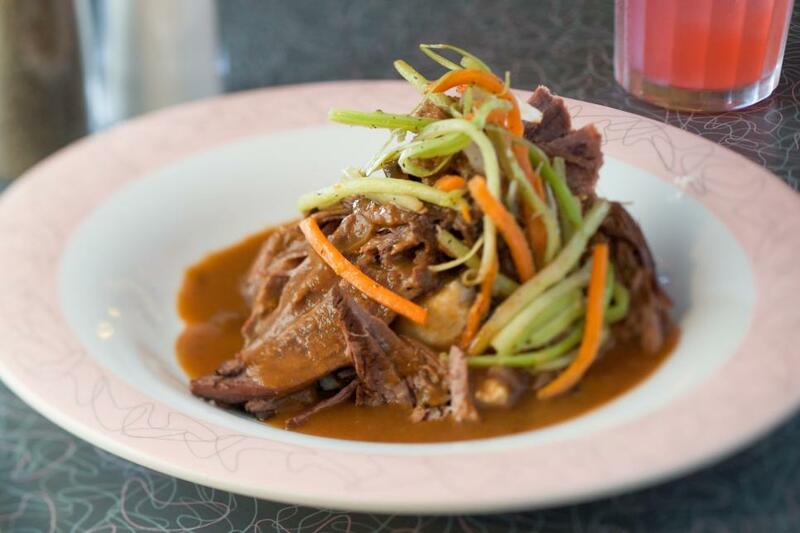 Tiffins creates flavors of the faraway lands its Imagineers visited when creating the park 20 years ago, including berbere-spice-rubbed venison, along with dishes like pomegranate-lacquered chicken, and ramen with duck confit and chile-lime cashews in a spiced coconut broth. Original Imagineer sketches, Balinese totem poles and a fleet of Pandora-esque blue butterflies spruce up the space. With its rustic wood exterior and orange grove-themed mural — plus the must-try adults-only moonshine-spiked sweet tea that’s even available from a takeout window — Art Smith’s Homecomin' Florida Kitchen is a refreshing relief from glitzier nearby options. The namesake chef, a sixth-generation Floridian, uses state-grown ingredients and his mother’s recipes as inspiration for the restaurant’s simple, wholesome fare, including buttermilk fried chicken, fried green tomatoes, mac and cheese and homemade pimento cheese (try it as part of the Jasper Board, loaded with country ham and candied pecans). Travel back in time with a slice of pineapple-banana hummingbird cake. If the Florida sun wears you down, journey to the Pacific Northwest with dinner at Artist Point, which glorifies the best of the region. The charcuterie — including wild boar rillettes — is homemade, and you can bet your salmon will be from waters out that way. As for wines, look for special finds form Oregon and Washington. The more casual Geyser Point Bar & Grill has huckleberry punch and dishes like shrimp on a wire, with miso-lime vinaigrette and chile aioli. 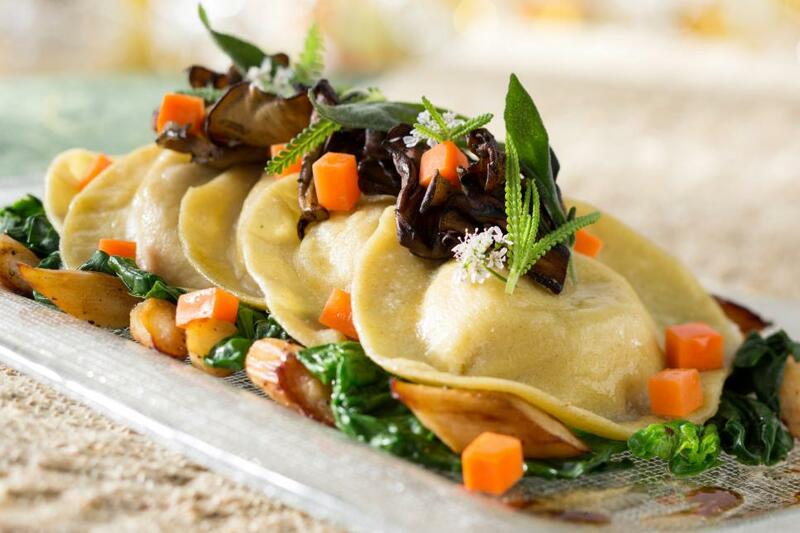 Feast on top of the World at California Grill, Disney’s signature Orlando restaurant. 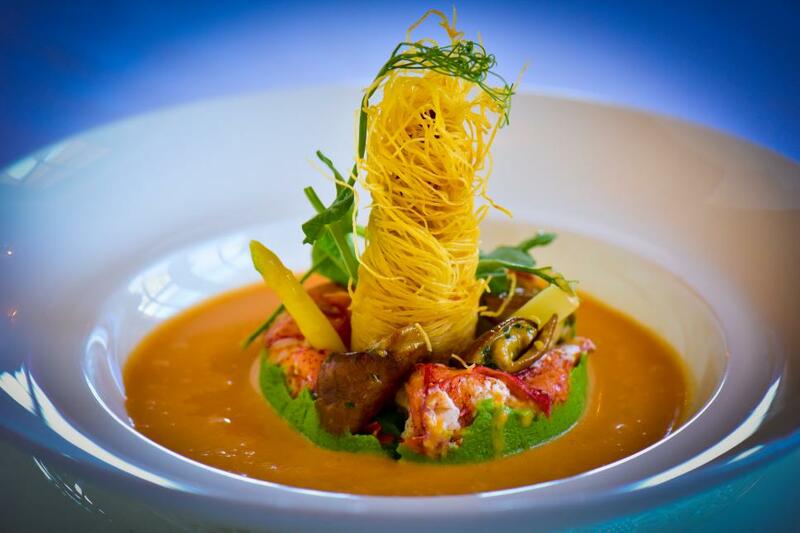 Up on the 15th floor, the restaurant serves contemporary American fare in colorful mid-century-modern space, including dishes like ramp spaghetti with Dungeness crab and bone marrow crumb, and black grouper with cashew chutney and kaffir lime-coconut nage. Book a dinner during the Magic Kingdom fireworks show for panoramic views with piped-in music. Daytime views of Cinderella’s Castle are great during Sunday brunch, too, when the Bloody Mary bar and lobster Benedict alone justify a trip. A great seafood spot in Orlando is as rare as a Nickelodeon character hanging with Mickey, so the BoardWalk Inn’s Flying Fish is quite the find. The entire place was revamped from tip to fin in 2016, creating a whimsically elegant nod to the sea with enchanting bubble-like glass fish clusters dangling from the ceiling. 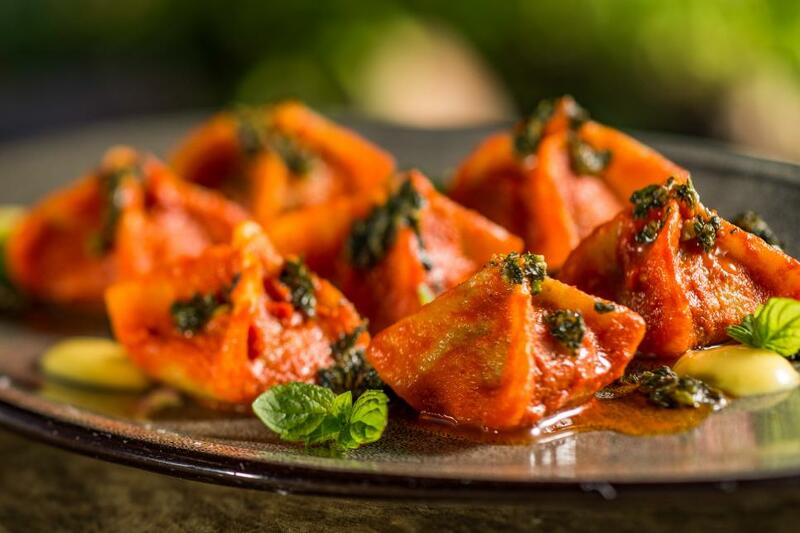 Chef Tim Majoras made the menu a seasonal showstopper, with entrees like Hokkaido scallop garganellii pasta studded with Key West pink shrimp, and sustainable salmon accompanied by shishito peppers and cilantro-cumin sauce. For a real-life Willy Wonka experience, stroll into Universal CityWalk’s elaborate, castle-like, 19th-century steampunk-esque Toothsome Chocolate Emporium & Savory Feast Kitchen and be that figurative kid in the candy store. 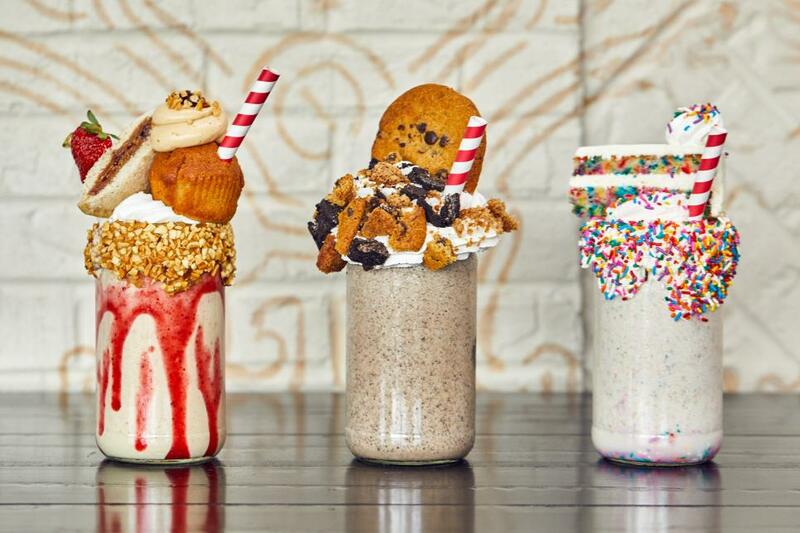 Oversized sweets abound, including restaurant desserts, creative milkshakes (the newest go bonkers with confetti, cookies and PB&J) — plus the contents of a colorful candy store. 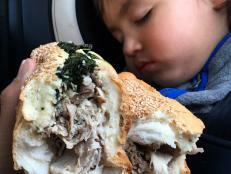 What’s more, the lunch and dinner foods are respectable takes on American favorites. Book a table and precede your dessert with flatbreads, burgers or even chicken Bourguignon. Start virtuously with an appetizer of roasted Brussels sprouts with jalapeno mayo, cotija cheese and ancho chile. Harry Potter die-hards would fly on Quidditch brooms, if necessary, to lunch even once in Diagon Alley. The fact that the grub is good is a bonus. 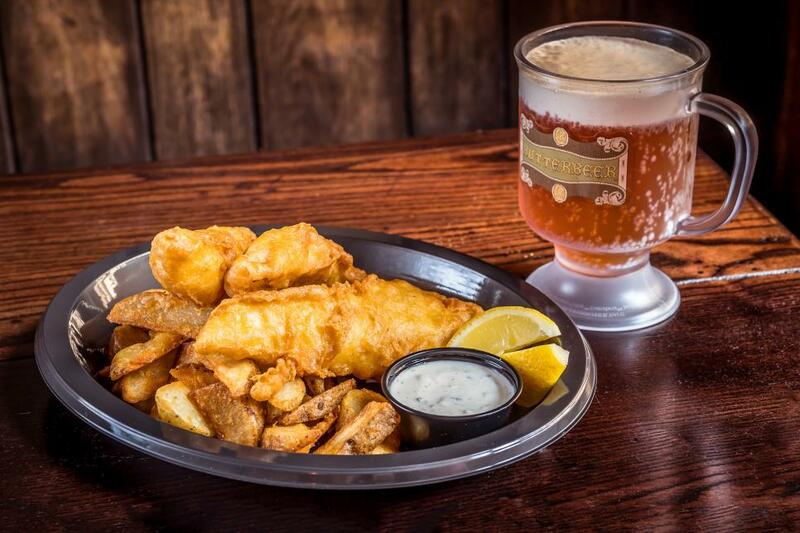 Leaky Cauldron is located within Universal Orlando’s literary-based Wizarding World fantasyland, and specializes in fast-casual British pub fare. Go for fish 'n' chips, a Ploughman’s Platter that includes Scotch eggs, and drinks with silly names like Tongue Tying Lemon Squash (made with a whole lemon) to best enjoy the gloomy, pubby, Hogsmeade-esque surroundings. 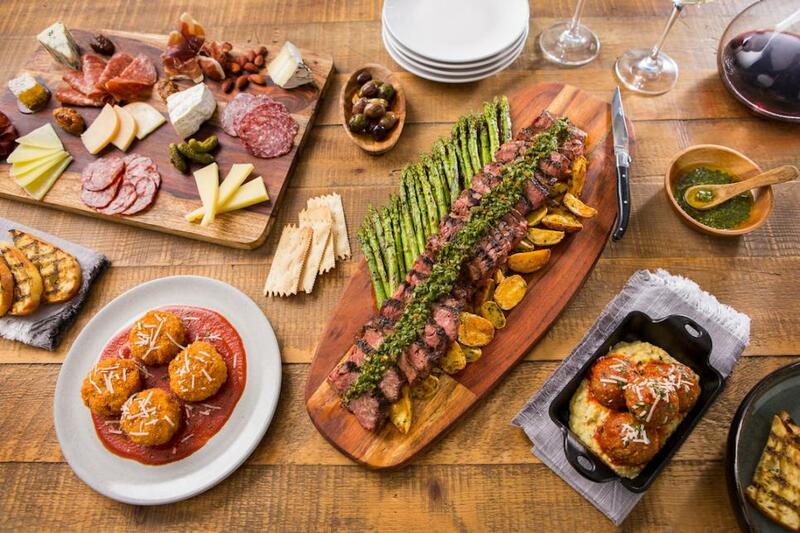 Universal Orlando is as all-American as it gets, yet its Strong Water Tavern, located inside the Loews Sapphire Falls Resort, is a global affair. Part hotel bar, part destination restaurant — albeit with lounge seating, the restaurant groups its tapas-sized foods around various Caribbean and Latin American destinations. Your small-plates meal might include four types of ceviche, Jamaican goat curry with mango slaw and thyme, Cuban shrimp Creole, Haitian curry chicken with mango chutney, and Colombian beef steak empanadas — made the way Chef Carlos Castaño’s madre prepares them at home. Rum is big here too, featuring flights, punches for a small group, infused shots, and cocktails like milk punch and grog. Universal’s new Aventura Hotel has the theme park complex’s first rooftop bar. Located on the 17th floor and accessed via dedicated elevator, Bar 17 Bistro offers views of all three theme parks plus the Orlando skyline. 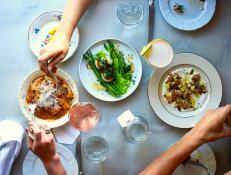 Trendy small plates lure diners as well as imbibers and vista-gawkers. 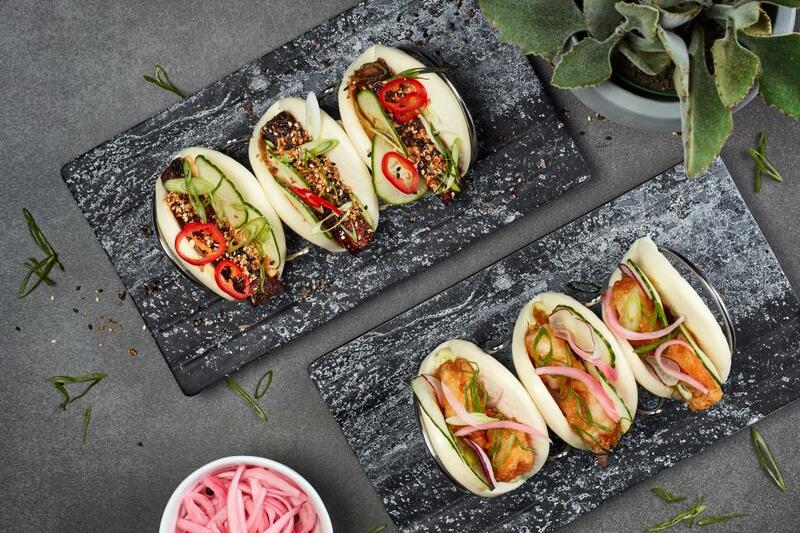 Asian-style baos and other global fare pair with internationally themed cocktails. If you choose The Kitchen for its costumed characters (Bart! Or maybe Minions! ), you won’t be the first. 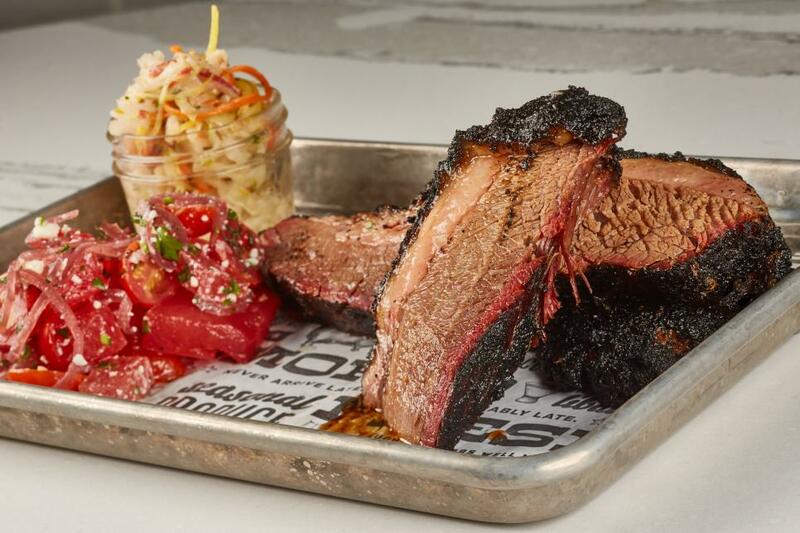 But photo ops and a playroom are secondary to the food at this Hard Rock Hotel favorite, where the chefs turn out notably fine renditions of American staples. 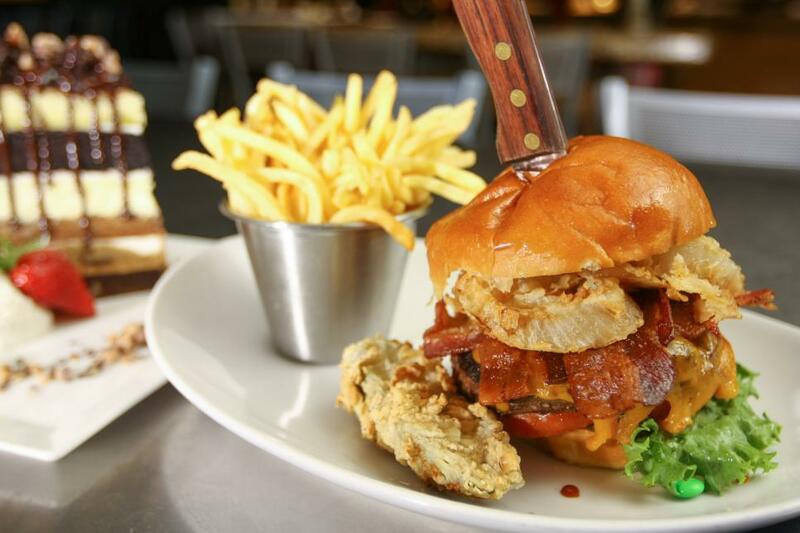 Whether you opt for the classic Kitchen Burger made with Black Angus beef, bacon, cheddar and chipotle-horseradish aioli, pan-seared red snapper with champagne sauce or an edgier flash-fried gator tail with horseradish aioli, you’ll likely be singing this rock 'n' roll-themed hotel a thank-you tune. Part Spanish restaurant, part steakhouse, Capa at the Four Seasons proves that talented chefs can create two restaurants in one. The steaks — listed by producer — are enticing; there’s always Wagyu beef from some artisan producer, and Prime cuts from another. But the tapas are where the chefs show off. Topping the list are fried cauliflower with capers and an egg, and tender octopus with paprika and garbanzo beans. Start with cocktails at the rooftop lounge, which has an expansive view of Disney World. 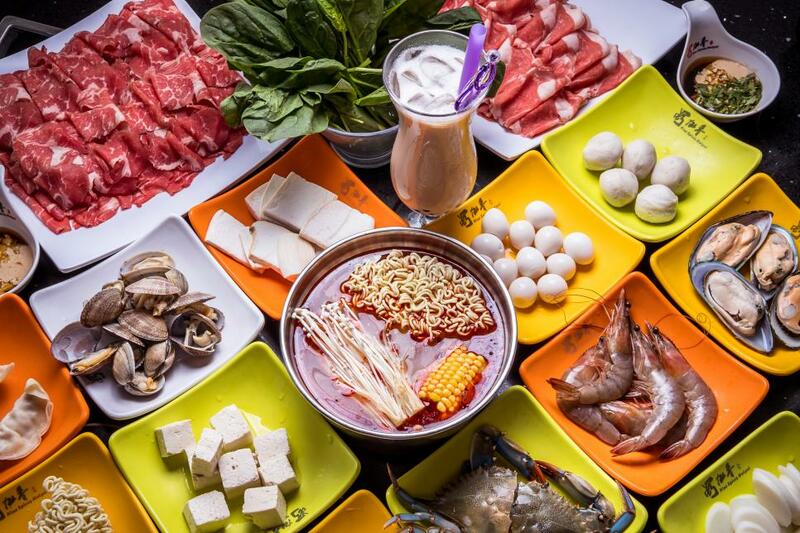 Settle in for a couple of hours, as you’ll need that long to make your own meal, again and again, at Nine Spices Hot Pot. Choose a broth, bring over bowls of each sauce from a toppings bar, and let the fun begin. A wide variety of proteins, vegetables and noodles will pass by your table via a slow-moving conveyor belt. Grab what you want, heat it in the broth, doctor it up to your liking, then eat. Repeat. Repeat. Repeat. 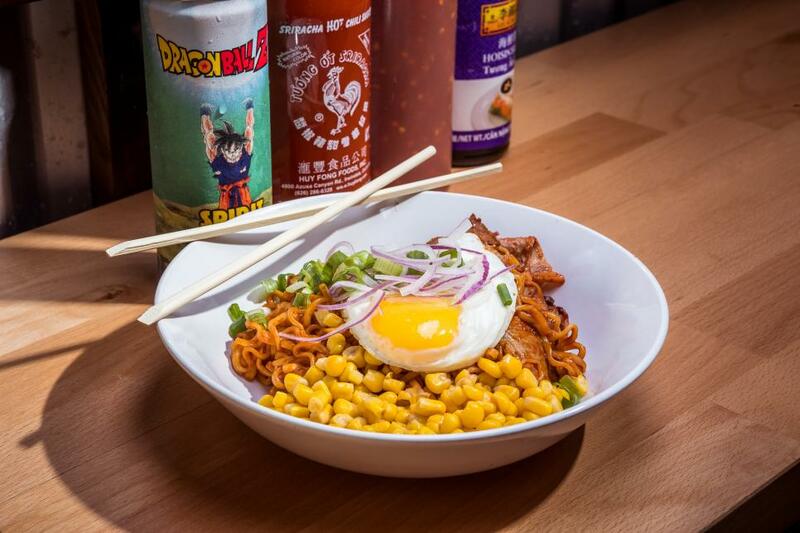 This Asian Noodle Bar sports long lines despite its shoestring decor, all of which revolves around the once-popular cartoon Dragon Ball Z. Millennials who grew up with the We Gotta Power force will likely be seated beside you, slurping up generous bowls of Vietnamese pho, Korean fire noodles and pan-Asian, pre-designed or build-your-own combos, all at prices to match the budget dining room. 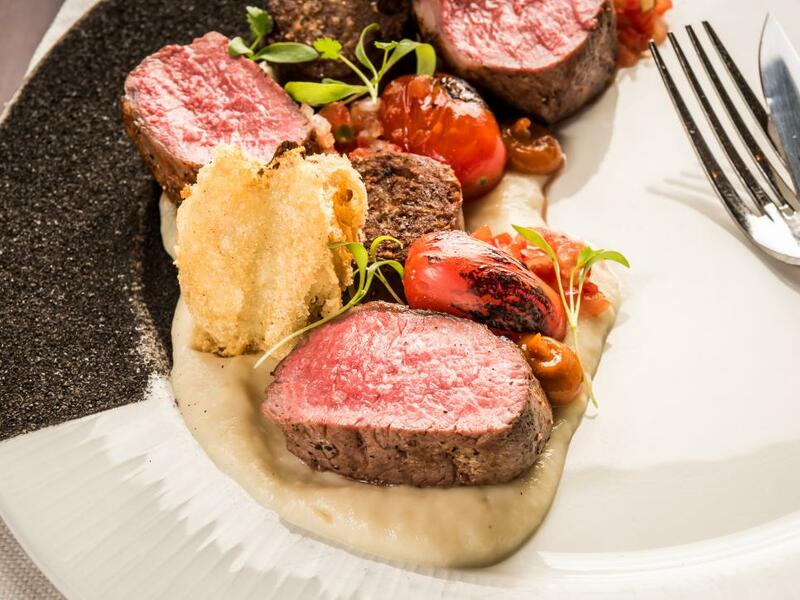 It can be hard for a steakhouse to stand apart, but Bull & Bear at the Waldorf Astoria is far more creative than its Orlando peers. 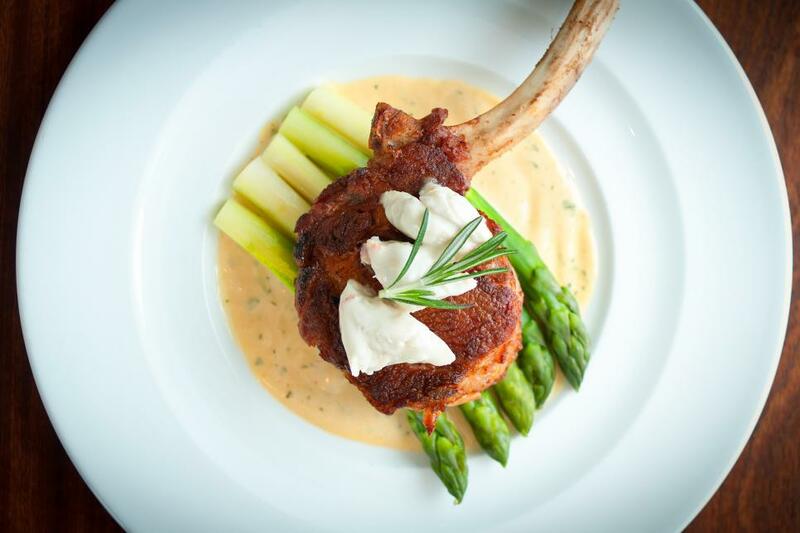 Its chefs are an innovative bunch, carving the bone of a 38-ounce, 32-day dry-aged steak for two, for instance, to look like a tomahawk — and then serving it with a gravy boat full of seasoned beef fat that’s made into a candle and subtly re-liquefied at the table before the chop is served. Feast on a luxury item like foie gras with bourbon caramel, or have your gnocchi laced with basil-fed snails. 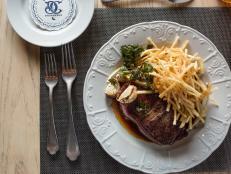 The veal Oscar may be vintage, yet preserved lemon keeps it contemporary. Old-time gracious tableside service makes this restaurant an especially welcome respite from the parks. You’ll need sustenance between Islands of Adventure’s water rides, Dr. Seuss antics and Spider-Man experiences. As insiders know, Mythos is the dining option. With its eerie grotto-like decor, the place looks too gimmicky to be good, yet it has good food — plus better burgers (including a lamb version) than its neighbors, and a spinach-feta spanakopita dip that’s a godsend on a summer afternoon. A day at the amusement park becomes more civilized when you break for grilled swordfish with yellow pepper coulis, or pad Thai with chicken and shrimp. The menu is as otherworldly as the ambiance. 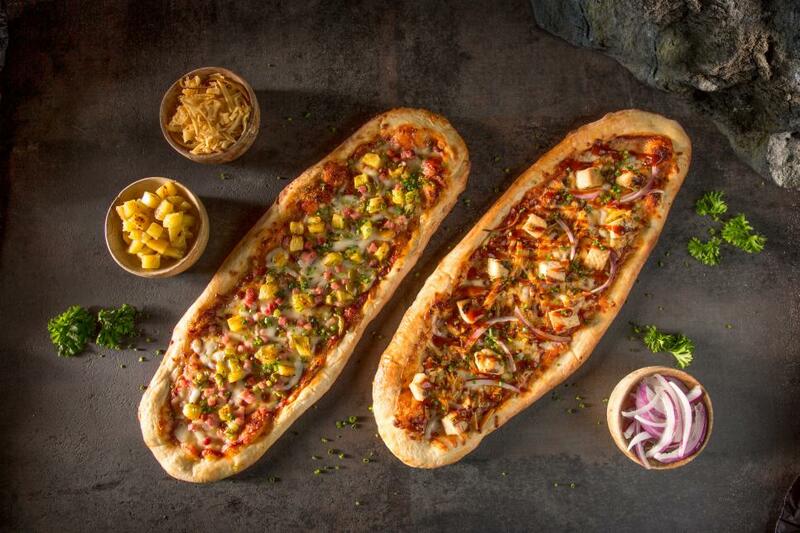 With its South Pacific theming, including a glowing volcano visible from throughout the area after dark, Universal's Volcano Bay is no ordinary water park, so why shouldn’t it have extraordinary food? Aside from the hot dogs and pizzas, you’ll find interesting lunches between watery plunges. Whakawaiwai Eats, home of those pies, which are shaped like surfboards, also gets creative with its mac 'n' cheese. Here, the pasta is thematically shell-shaped, laced with pan-seared shrimp and jazzed up with Jamaican spices. If it’s too hot out for a hot dish, walk to The Feasting Frog for an ahi tuna poke bowl instead. 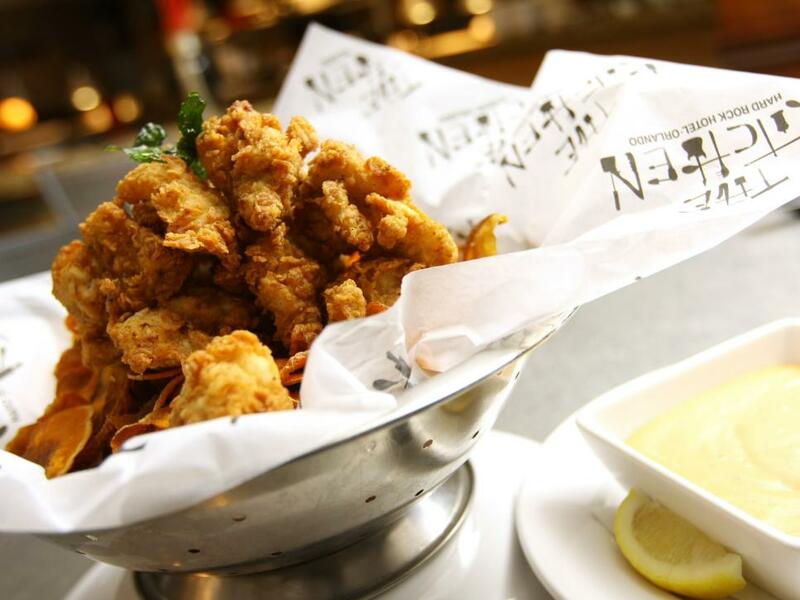 There’s no need to change out of theme-park clothes for a meal at Q’Kenan. The Venezuelan restaurant serves good cheap eats with minimal atmosphere. 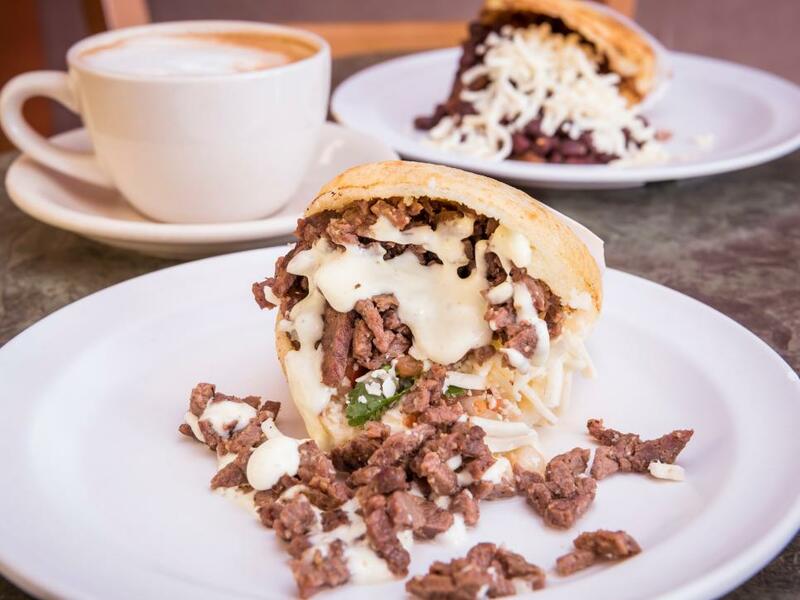 Join the Spanish-speaking crowd for cakey arepas loaded with flavorful fillings like pernil (baked pork) or black beans, and massive platters like the parilla tepui — grilled steak, griddle-cooked cheese, salad, green plantains and fried cassava — for about $13. If you choose The Kitchen more for the costumed characters (Bart! Or maybe Minions! ), you won’t be the first. But photo ops and a playroom are secondary to the food at this Hard Rock Hotel favorite, where the chefs turn out notably fine renditions of American staples. Whether you opt for an old-fashioned chicken pot pie, pan-seared branzino with pomegranate glaze or an edgier flash-fried gator tail with horseradish aioli, you’ll likely be singing this rock ‘n’ roll-themed hotel a thank-you tune. 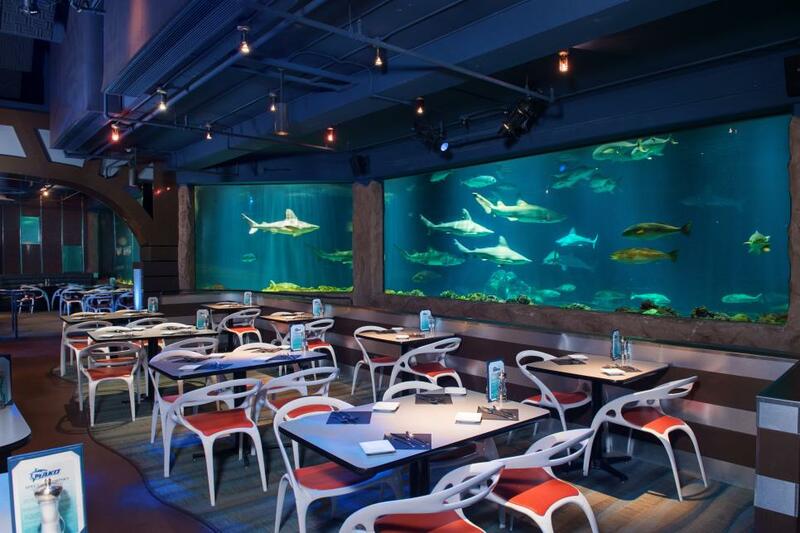 SeaWorld is more about underwater life and high-octane coasters than haute eats, but the park makes an exception for its signature Sharks Underwater Grill. Catch a view of the shark tank from sleek white-and-orange seats in an air-conditioned room, and see thrill-seekers plummet from the 200-foot-tall Mako "hypercoaster" on the way to the dining room. 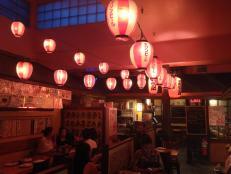 As for food, the menu is straightforward, with something that should appeal to even the pickiest diner. The grilled salmon topped with caper butter is popular, as are tempura shrimp with a kalbi sesame glaze, steak, and chicken piccata. Merguez looks like a junky tourist spot in a schmaltzy strip center. Enter anyway. Behind the counter, Moroccan natives are cooking authentic foods from their country — kefta tagine, lamb shank, chicken kebabs and beef briwat (phyllo turnovers), for starters. It’s a friendly spot, where half the customers seem to be regulars.